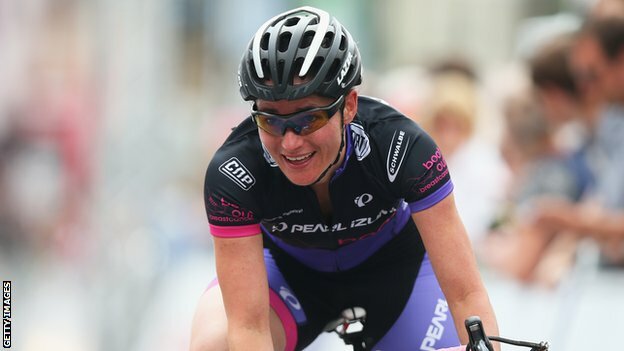 Dame Sarah Storey and the tandem pair of Lora Turnham and Corrine Hall won gold medals for Britain at the Para-Cycling Road World Championships in Greenville, South Carolina. Storey completed a double with her win in the C5 road race after her success in Friday’s time trial. Turnham and Hall were victorious in a sprint finish to add to their time trial bronze. Britain have now won three golds, a silver and two bronzes. It was an 18th world title for Storey who finished just one hundredth of a second clear of her rivals Anna Harkowska of Poland, Mariela Analia Delgado of Argentina and Samantha Heinrich of the USA. “World road race champion! Yay!” the 36-year-old tweeted afterwards. Turnham and Hall, who had finished third in their time trial event, had a hard battle but beat Ireland and Spain in a photo finish.